PokerStars delivered the biggest day in online poker history on Sunday May 21 when it achieved record-breaking total prize pools of more than $39 million in a single day, smashing the guarantee of $28 million by almost 40 per cent. The total prize pools made it the biggest day the online poker industry has ever seen. More than €13,000,000 is guaranteed for PokerStars Championship Barcelona which will run August 15-27 at Casino Barcelona. A jam packed scheduled is planned including the €4,000,000 guaranteed PokerStars National Championship, €2,000,000 PokerStars National High Roller, €7,000,000 guaranteed PokerStars Championship Main Event and €100,000 guaranteed PokerStars Open. Players can satellite into the event for as little as €1 on PokerStars until August 13. Total amount guaranteed for PokerStars Festival Marbella which kicks off on June 19. PokerStars Festival will make its debut in Marbella, Spain for a fun-filled poker spectacle at Costa del Sol, Casino Marbella. Located metres away from the sun-drenched beach, Casino Marbella is a popular tournament destination, and past PokerStars-sponsored events have attracted hundreds of players to the southern coast of Spain. The schedule will feature a variety of tournaments including the €700,000 guaranteed PokerStars Festival Main Event, €200,000 guaranteed PokerStars Festival High Roller and €100,000 guaranteed Marbella Poker Cup. Players can satellite online for this highly anticipated stop until June 18 for as little a €1.10. The latest PokerStars Championship event has been announced to stop off in Prague for twelve days of non-stop poker action from December 8-17. Tournament highlights include the €5,000,000 guaranteed PokerStars Championship Main Event. Poker players can take a break from the casino to take in the festive atmosphere at the world-famous Christmas markets. Canadian ‘holla@yoboy’ collected $692,460.93 from the SCOOP-01-H: $1,050 NLHE Phase 2 Event after beating a field of 5,821 players. The total prize pool was a guarantee-beating $5,821,000. Team PokerStars Pro Leo Fernandez won the PokerStars Festival Chile $3,300 High Roller and cashed for $20,950 as well as proudly bringing home the gold trophy. Day 3 of the tournament lasted just four hands. Episode number of this week’s Poker in the Ears podcast which features an exclusive interview with Team PokerStars Pro Online Kevin Martin who has won season five of Big Brother Canada for $100,000. 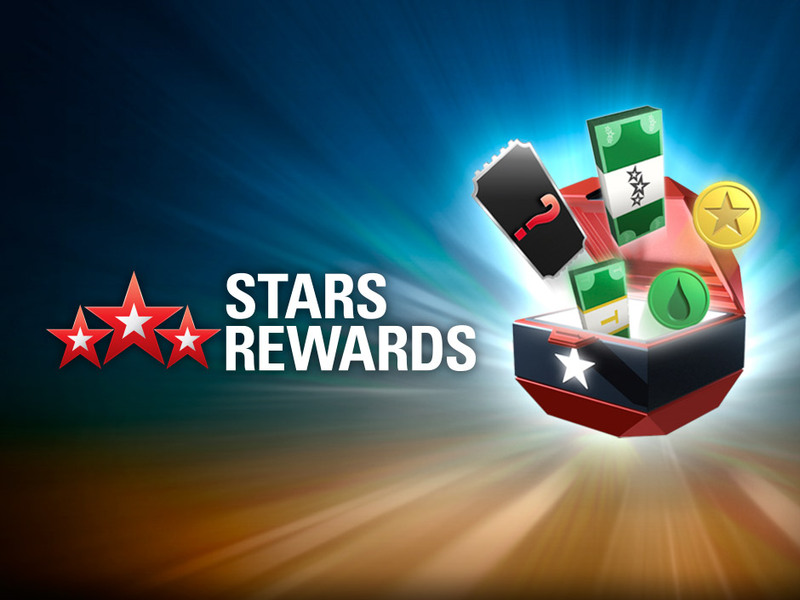 PokerStars launched a pilot of its new Stars Rewards loyalty programme in Demark on Wednesday, May 24. The new program offers an exciting gaming experience which rewards players for their play across poker, casino and sports (where available) and promises personalised rewards tailored to the games they play, as well as the chance to win top prizes including $1,000 cash, 1,000,000 StarsCoin, or, for sports bettors, big bets for upcoming matches. Following the pilot in Denmark, Stars Rewards is due to be rolled out in other markets later this summer.